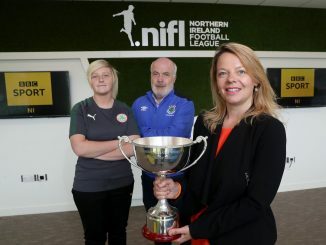 Cliftonville and Linfield will contest the NIFL Danske Bank Women’s Premier League Cup final after wins over Glentoran and Derry City respectively on Wednesday 30th May. Cliftonville had to come from behind to defeat Derry, Rachel Barnaby having opened the scoring for City. Chloe Orr lobbed the leveller after the break but there was no addition to the score in normal time. 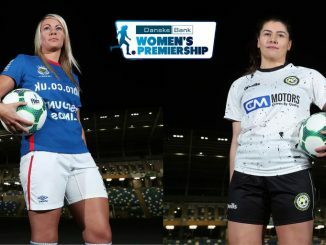 Billie Simpson then gave the Reds the advantage with a long-range free kick that went in off the crossbar and after Derry had a player dismissed, Orr got her second and Cliftonville’s third. 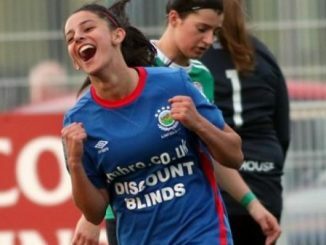 Hannah Doherty had Linfield ahead after 12 minutes against Glentoran but it was Chloe McCarron’s long-range strike which proved decisive in the 2-1 win. The final will be streamed live on the BBC Sport NI on Friday 29th June at 8pm. A FAN’S VIEW: How a die-hard West Ham fan is reacting to the new-look top tiers?